Welcome to The Royal Valentia, located on Valentia Island, an historic, warm and welcoming family run hotel located in one of Ireland’s most beautiful settings, the peaceful village of Knightstown on the stunning Valentia Island, County Kerry. 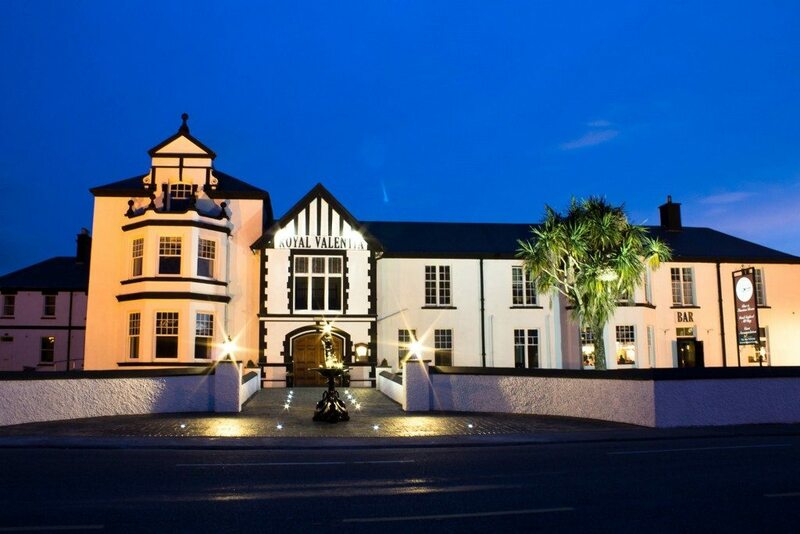 The Royal Valentia, a beautiful historical eye catching building, is on the quayside overlooking Valentia Harbour. Our individually decorated Harbour View rooms offer panoramic views of the harbour, Portmagee channel, and the Iveragh Peninsula beyond. 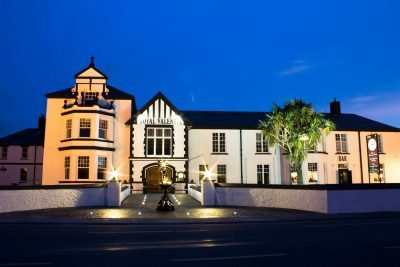 The idyllic romantic setting of Valentia Island combined with the renowned peace, comfort and service delivered by the team at the Royal Valentia makes it the ideal wedding location or place to celebrate your family party. There is plenty to do in the local area making the Royal Valentia the perfect location for a family holiday or a relaxing getaway. We are located on the Skellig Ring, Ring of Kerry and Wild Atlantic Way scenic driving and cycling routes. We look forward to welcoming you to the Royal Valentia!